Rapid ID scanning right at your fingertips. Scan your patrons’ information with the touch of a button. Use one or multiple scanners to build a CRM database with unlimited records that can be reviewed and exported. Once you scan an ID the information is stored locally on your iPhone, iPod or iPad. You can register for free to have your scan history uploaded to the cloud and accessed via a web portal. Create your own network of scanners by using the same login for all your ID scanners for free. 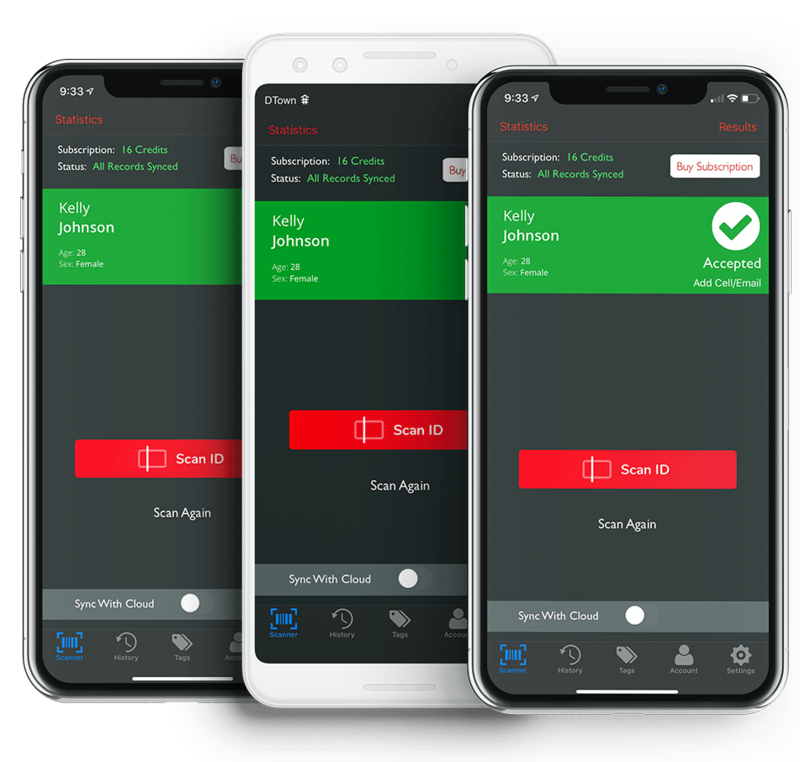 Best of all, you can login to the cloud to consolidate, view, report, and export your ID scan history from all your ID scanners in one place. 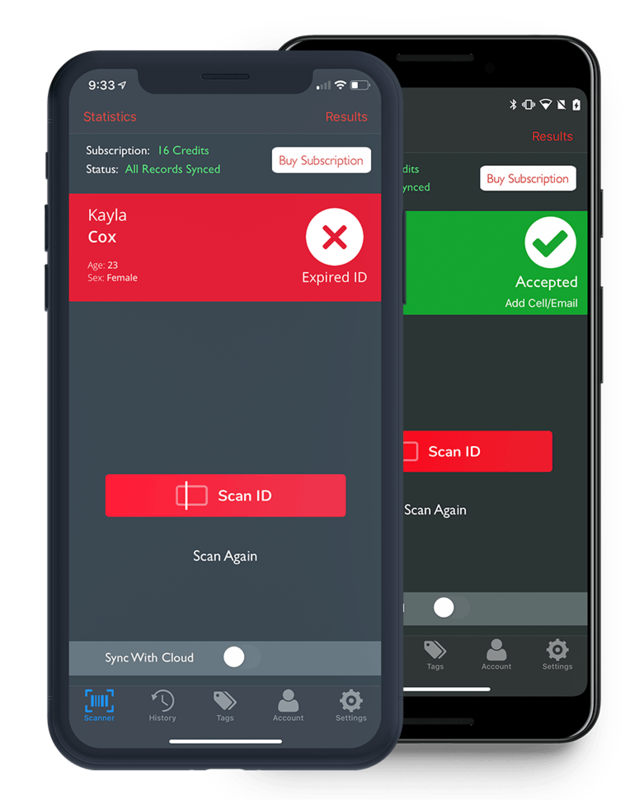 You can use the ID Scanner App as the ultimate hand held customer relationship management software. 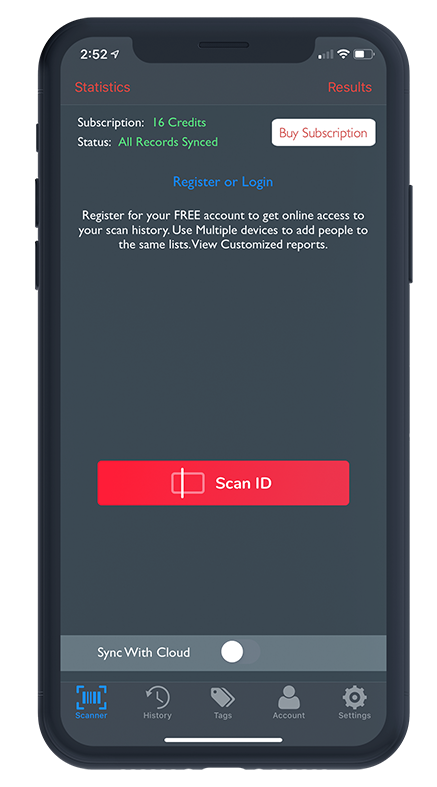 With the ID Scanner App you can create multiple tags such as VIP, Banned, Top Prospect, Referral Lead, etc. Track key individuals by attaching tags to them and be notified every time their ID is scanned. Best of all, you can create unlimited tags and share tagged individuals across all your devices using the ID Scanner App. Every time you scan an ID with the ID Scanner App, it automatically checks to see if the ID is legitimate or fake. It can also identify underage individuals, check the expiry date of the ID, and tell you if the ID has already been scanned before. 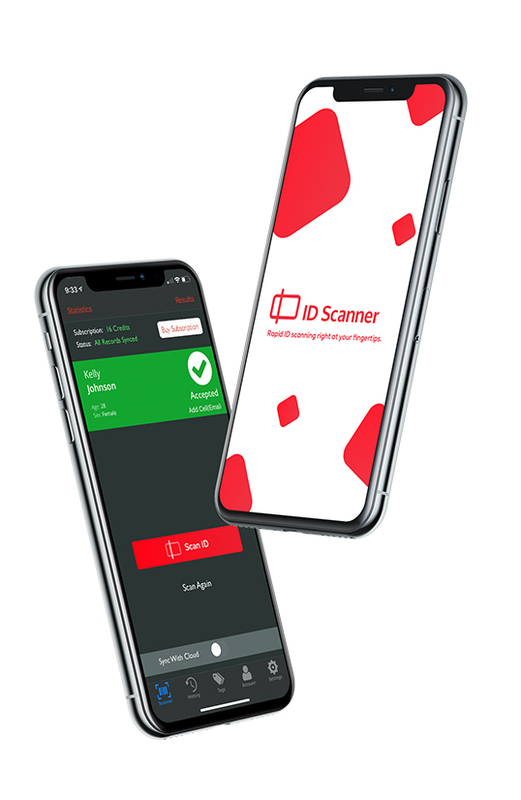 Rely on the ID Scanner App to validate all of your scanned IDs instantly and with confidence. This easy to use ID scanner uses the camera from your iPod, iPhone or Android phone to scan the 2D barcodes off the ID. All North American states and provinces have a 2D barcode on their current valid ID with the exception of AL, IL and MI. An optional ID scanning case can be purchased to increase the speed of scanning IDs. This rugged case protects the iPhone/iPod, uses its own battery for scanning and works perfect in pitch black environments. 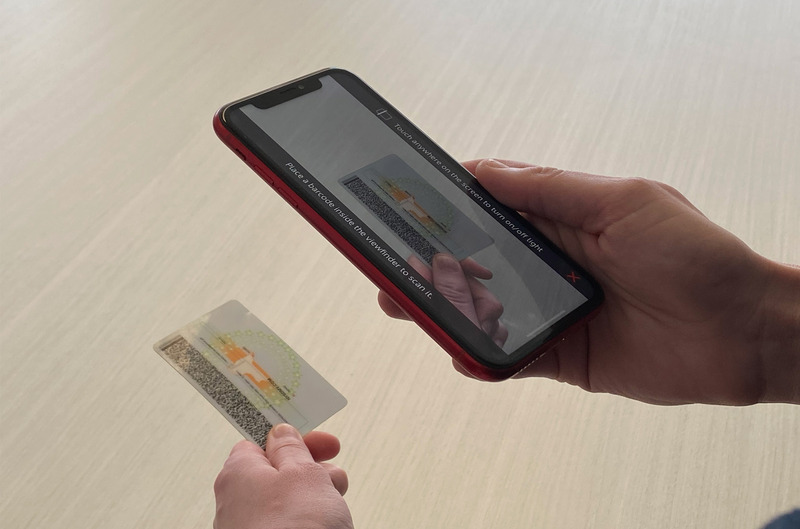 The ID scanning case can also scan IDs with magnetic strips which account for the majority of the older issued and expired IDs. Free to use with unlimited ID scanning units, sharing the same patron tags and consolidating the scan history. Send out unlimited SMS text messages and use demographic smart filters to reach your audience. Register for free for an account through the iOS or Android app. Free to use with unlimited ID scanning units, sharing the same patron tags and consolidating the scan history. Register for free for an account through the iOS or Android app. Speed up your scans with this rugged ID scanning case that comes with its own barcode reader and magnetic strip reader. This scanning case will read the majority of government-issued IDs and has its own battery that allows for longer scanning periods. Available for iPod Touch (5th generation), iPhone 5 and 5S. Hotels and Motels looking for an effective way to deal with troublemakers should consider HotelDNR, makers of the Hotel Do Not Rent List, which places all banned guests on a live, real-time, nationwide Do Not Rent list available to all Hotels and Motels in North America.